Workplace Drug Testing explains regulatory frameworks and all aspects of drug analysis. Includes case studies of successful programmes. This comprehensive book provides clear explanations of the effects of drugs on human performance and the need for workplace drug testing. Case studies of successful programmes are included as well as how different countries test for drugs. the associated interpretation of results. 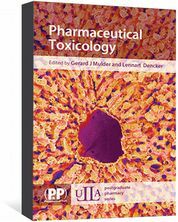 Written by internationally acknowledged experts, this informative book is essential reading for anyone interested in workplace drug testing or setting up such a system including clinical and forensic toxicologists, occupational health physicians, nurses, human resources, drug counselling and treatment providers, analytical chemists and lawyers. 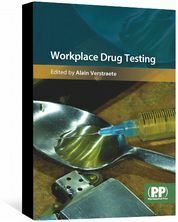 Workplace Drug Testing is also available as an eBook. 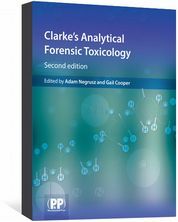 "I have no hesitation in recommending this book as a useful addition for practising toxicologists who are engaged in workplace drug testing. 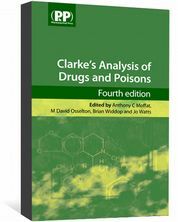 It is informative, up to date and written by experts in the field with considerable understanding about how complex this seemingly straight forward mode of drug testing really is." "This is a fascinating overview of the many different considerations for workplace drug testing in Europe. This would be a great addition to your bookshelf if you are interested in this topic." "‘For those who are interested in workplace drug testing, or who are about to set up such a system, this is the book for you. With clear explanations of the effects of drugs on human performance and the need for such testing, the book goes on to give the regulatory aspects and how to set policies. Then follows chapters on how to take samples, analyse them and interpret the results. International mandatory guidelines are fully explained and compared. It concludes with examples of case studies and how different countries test for drugs. The book has been written by internationally acknowledged experts in their fields and the result is an exceptionally well written and informative book."